If you’re shopping for a vehicle that you can drive you want to choose a location that has the impressive selection you need to ensure you can have the driving quality you’re looking for. 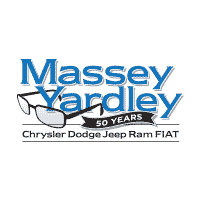 In the Plantation, FL area, you need to see the team at Massey Yardley Jeep Chrysler Dodge Ram. This dealership offers a large selection and the impressive selection of auto loans to choose from so that you can experience a drive that’s affordable for you in Margate. 2015 Chrysler Town & Country 4dr Wgn Touring – If you’re looking for the right way to carry your family around on the roads in your area this minivan can be the perfect choice. Come in and take this impressive model out for a test drive and check out the extensive list of features and the auto loans offered to make it the right choice for you to drive on the roads in Margate. 2017 Jeep Renegade Latitude FWD – This little and active SUV can be the perfect choice for you when you’re ready to secure one of the auto loans offered at this dealership near Margate. Take a test drive and experience the benefits of a backup camera, keyless entry, Bluetooth connectivity and the low mileage reading on the odometer that will give you what you’re looking for. 2016 Dodge Grand Caravan 4dr Wgn SXT – This is another impressive minivan that can provide you with the driving experience and qualities you want. This impressive model is offered with affordable auto loans and a variety of items to ensure you’ll have the drive you want on the roads in Margate. This minivan has been discounted for you to have the price you need. 2017 Jeep Renegade Latitude FWD – Take a test drive in this small SUV and let it become the one that brings you more of what you’re looking for. This excellent model is offered with one of the auto loans you’re looking for so that you can drive on the roads in Margate. Check out the low miles and quality items that make this a choice that will work great for you. 2016 Jeep Cherokee FWD 4dr Limited – As one of the higher trim levels offered from Jeep you’re going to be glad you have the benefits of a long list of features and the driving comfort of this impressive compact SUV. Check out the different auto loans offered for you to secure the drive of this impressive SUV when it’s time for you to head out on the roads in Margate.